All our programmes are aligned to the belief based on the butterfly effect: small change, big impact. We start by raising awareness, creating understanding, and then taking action. Starting from self, moving to community, one small step, one small change at a time; allowing the results to ripple through individuals, impacting the community at large. We strongly believe in experiential learning process, as life is about experiencing. We reinforce the importance of reflections in the process, by purposefully setting aside time and resource, to allow participants to be with their thoughts and emotions, digesting their learning in bite-sizes, among the flurry of activities. Our approach tends to take a deeper dive into our consciousness, allowing the individuals and organisations / families to learn what makes them tick, what motivates them. This supplements the Experiential Learning Cycle, allowing participants to delve deeper with each experience, scaffolding the learning in the process. We seek to explore below the surface, going deeper into the areas of the emotions, the thoughts, the beliefs, the values. These areas hold the key to sustainable change, and the more aware we are with regards to these areas of self, the more options and choices can be made responsibly. This will also have a significant impact to organisational change. Often regarded as the “third force” is psychology, the Humanistic Approach was developed by two leading psychology theorists, Abraham Maslow and Carl Rogers. It looks at the person as a whole – or the “whole person” – considering the individual’s perspectives of his/her own behaviours in relation to his/her experiences. 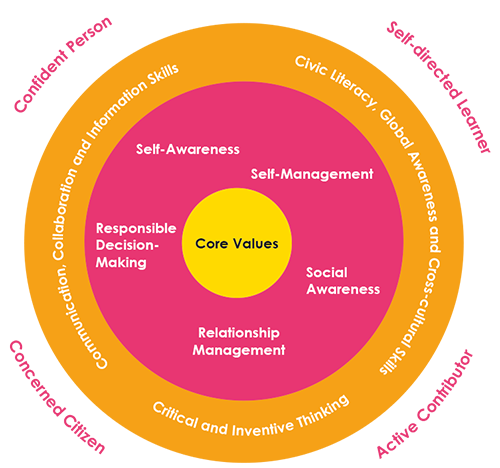 The approach leverages on counselling and facilitation techniques to collect the data of the experience and the behaviours, and even though it may be a more subjective (unscientific) approach, it provides a more holistic viewpoint to who the person is, with the ability to look deeper into his / her values and identity. The approach recognises human beings as part of nature, and holds that values have their source in human experience and culture. The principle it follows are that all people have a need for positive regard, resulting from an underlying wish to be loved and respected. ​This is in line with where we are heading in the 21st Century, looking deeper into oneself, identifying one’s purpose through the understanding of our values.